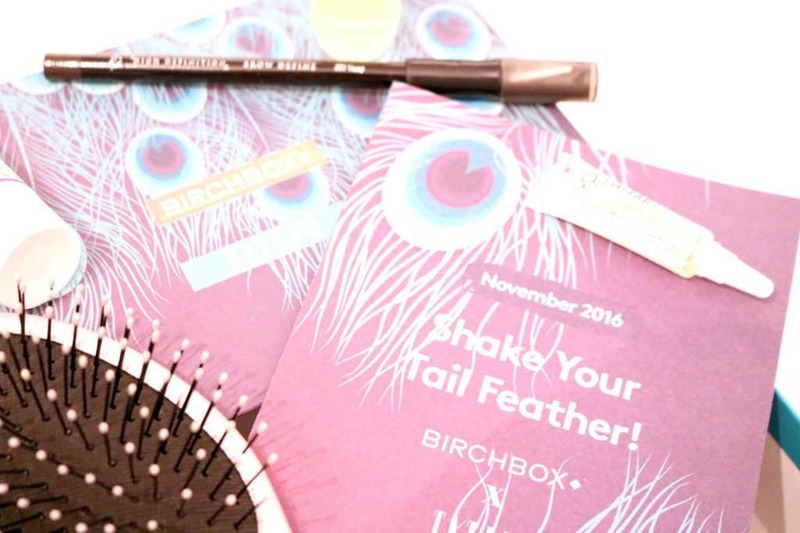 Home Reviews Birchbox – November 2016: Shake Your Tail Feathers! 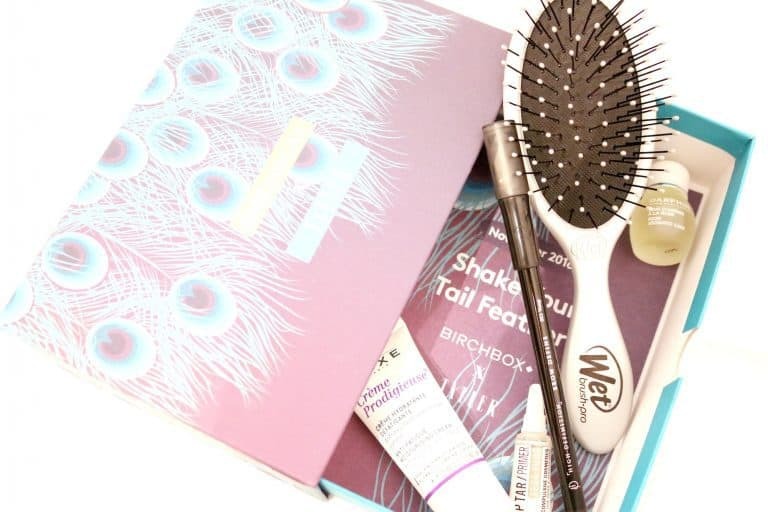 This month’s Birchbox was in collaboration with Tatler magazine, and was named ‘Shake Your Tail Feather’. The box focuses on the party season, and the Tatler team picked this month’s beauty goodies to ensure you’re turning some heads! The box itself is another drawer style box – I LOVE this style of box as it can be reused and make the perfect little bedside table addition. It’s beautiful, too – how luxurious does it look all covered in peacock feathers?! 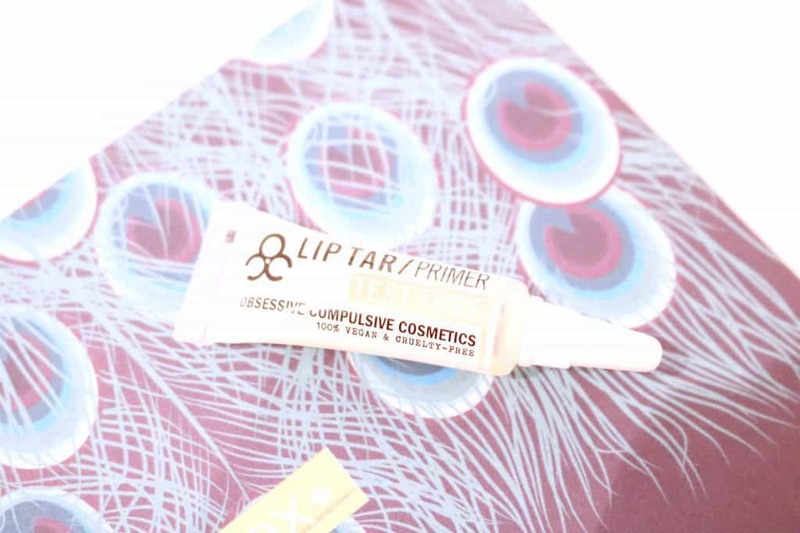 The Obsessive Compulsive Cosmetics Lip Tar Primer was a new product to me – I’d never heard of using lip primer before! It promises to hydrate and nourish, keep your lipstick in place and help the colour look more vibrant. All you have to do, is dab a tiny amount onto your lips, let it sink in, then apply your lipstick as usual. You can even just wear it on it’s own to nourish your lips – it’s packed full with vitamin E and peppermint oil to keep your lips soft and smooth. So, did it live up to all of these claims? Well…it definitely made my lips feel smoother, and I do feel like it was perfect to apply under a drying matte lipstick, to ensure my lips stayed hydrated! The product I was probably most excited to try out was the Midi Wet Brush. I personally am a huge fan of my beloved Tangle Teezer, and especially love having the freedom to brush my hair when wet. I tend to brush my hair before showering, and will then also brush a conditioner or hair mask through my hair to ensure even coverage. 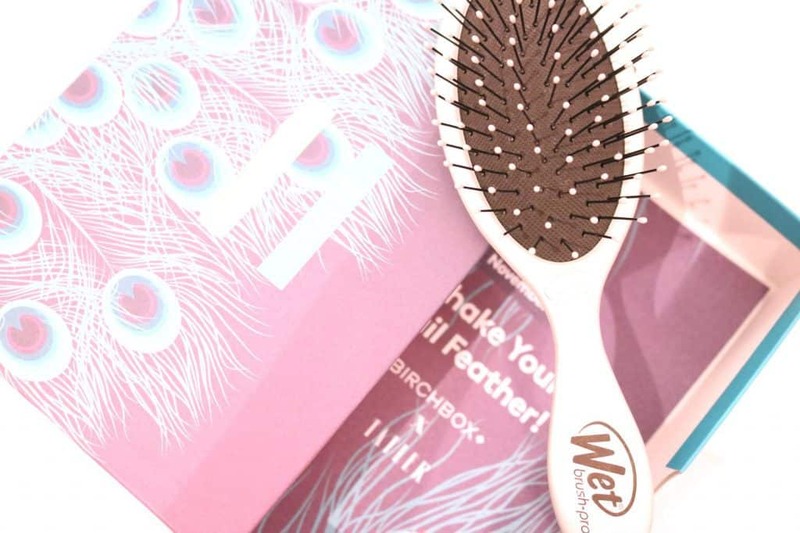 Wet hair can be especially prone to breakage, but the Midi Wet Brush has special intelliFlex bristles that are gentle on the scalp but detangle. All I can really say about this brush is… wow. It’s SO good! The bristles are soft and flexible, so don’t scratch or feel hard against your scalp, but they somehow manage to detangle even the most stubborn of knots! I actually think I prefer this brush to my tangle teezer… now that’s saying something! Nuxe is one of the luxe skincare brands I just love testing out – I’m always pretty impressed with their products and they are always so gentle on the skin. 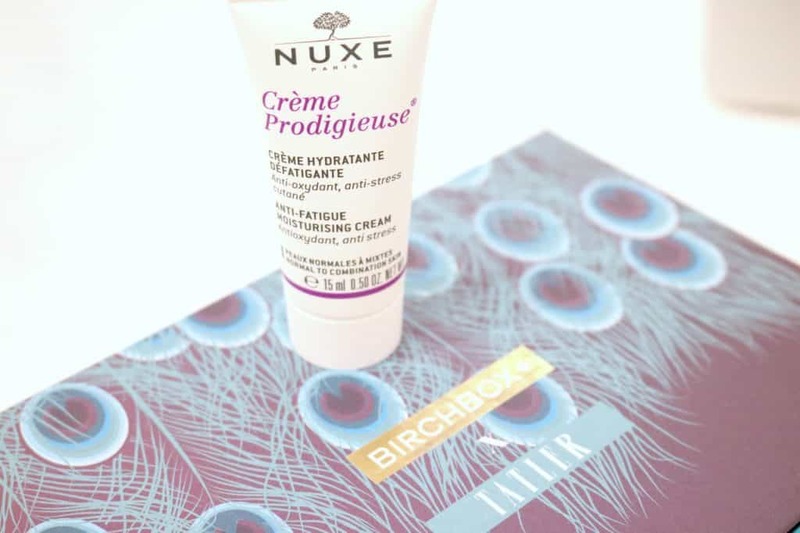 In this month’s Birchbox I received Nuxe Crème Prodigieuse, which is created to boost your skin’s antioxidant levels, restore hydration and boost your tired skin – perfect for the morning after a wild night out! It also helps give a dewy base, and so makes the perfect pre makeup moisturiser. The travel size makes it perfect to pop in your toiletries bag for a weekend away, too! I love me a good brow product – I like to think my brow game is improving and you know, what girl doesn’t want to be #browgoals ?! 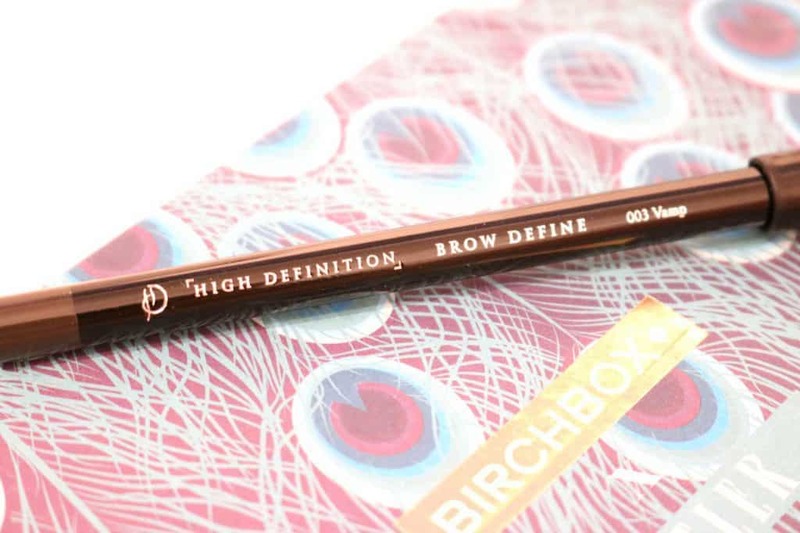 When I saw the High Definition Brow Define pencil in the box a smile definitely creeped across my face – I couldn’t wait to try it! I stopped using brow pencils a couple of years ago – I found that they never looked natural and I just couldn’t master the technique. However, with this pencil, I feel like I’ve been missing out! All I have to do is use short, soft strokes and the pencil fills in my brows and looks so natural. The colour is perfect for me, too. 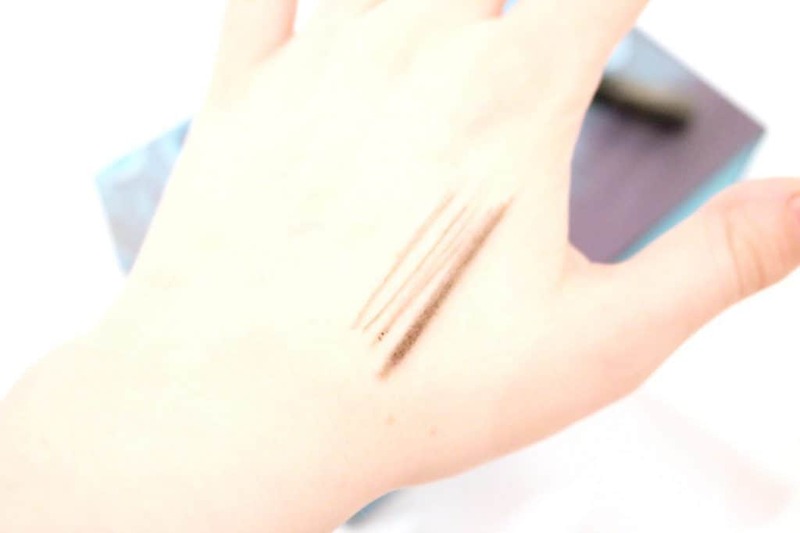 Whilst I still prefer a slightly heavier brow for a night out, this pencil is perfect for my everyday look. One thing in particular that I have to praise Birchbox for is their more high end brand collaborations. This month, I received some Darphin Rose Aromatic Care oil, which is super nourishing and leaves skin smooth, soft and radiant. I’m obsessed with facial oils at the moment and think they are the perfect addition to a pamper evening, so couldn’t wait to add this more luxe product to my weekly pamper session! This oil has the most gorgeous smell – I like to close my eyes, sit back, relax and breathe the aroma in deeply as I massage it into my skin and give myself a mini facial! The oil itself is really impressive, too, and helps give my skin a more intense hydration. So there you have it! That’s all for Birchbox’s November box. 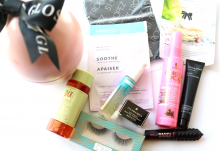 I was once again really impressed with the box – you definitely get your money’s worth and the products and brands are always high quality. It was great to see a collaboration, too! 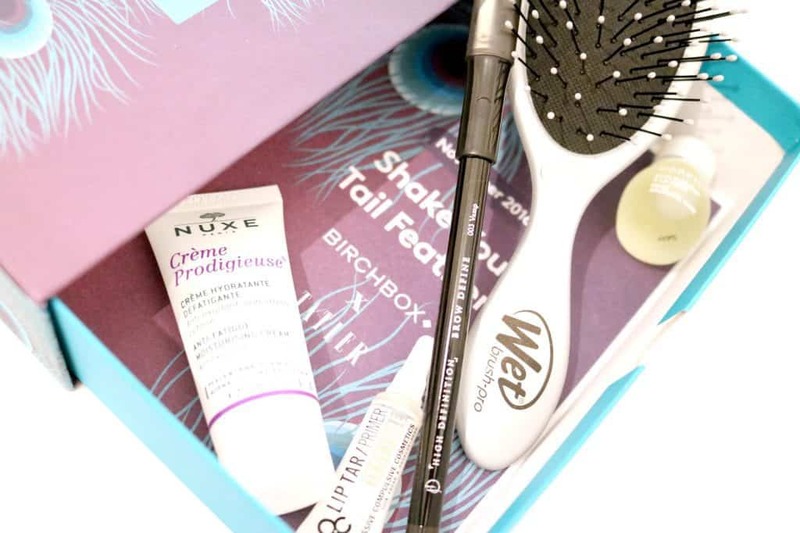 Yet again, Birchbox has impressed with a killer collaboration and high quality products!